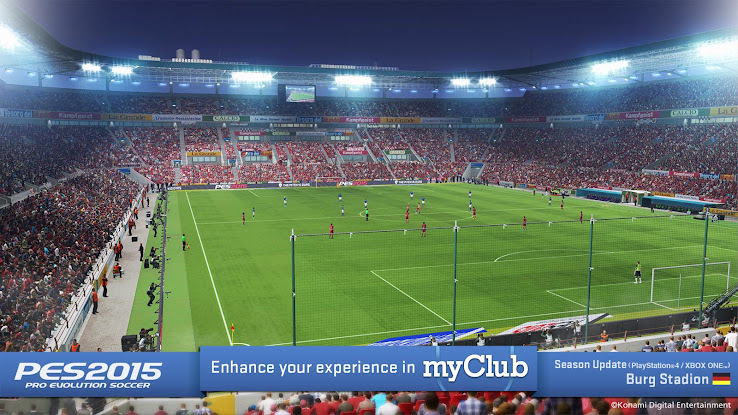 As announced last week, the new Pro Evolution Soccer 2015 Data Pack 4.00 was released this morning. 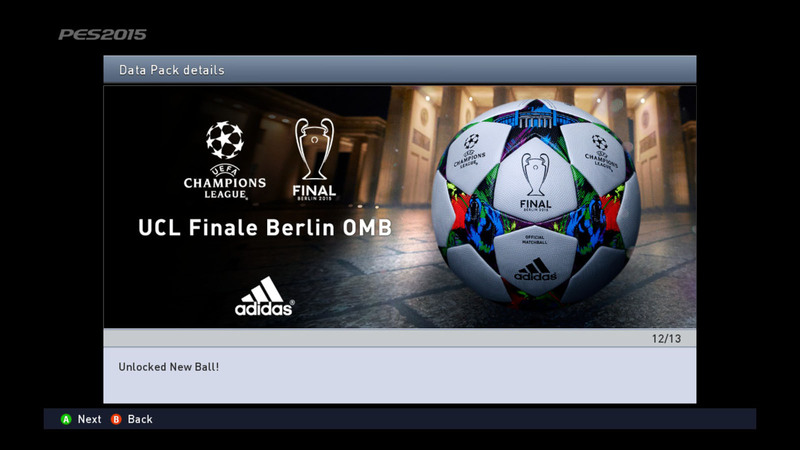 For a full overview of changes brought by PES 2015 Data Pack 4.00, see our previous announcement. Quite a few player ratings were also updated for the Data Pack 4.00, including the two highest-rated players, Lionel Messi and Cristiano Ronaldo, who are now rated at 98 overall points. Zlatan Ibrahimović and Arjen Robben both received a +2-boost and are now valued at 94 overally. Due to these updates, the weekly PES 2015 Live Updates take another break, before they are expected to return next week. A number of Brazilian teams (including Atletico Mineiro and Botafogo) were updated in terms of real player names and should now feature real names and appearances for most important squad members. To download the new PES 2015 Data Pack, simply boot up PES 2015 on your console or the PC, it should automatically download the Data Pack. The size of the download varies on the different systems, for PC it's 618MB, users on current-gen consoles will have to download a bit more due to the added stadiums.